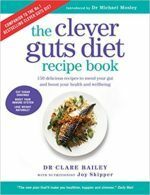 The clever guts book says you can get your biome texted for as little as £100. Has anyone done this and was it useful? I live in the U.K, in case that is important. Many thanks. How are you? Hope all is well. I tried Ubiome this summer, it took them about 2 months to get me the results, which was frustrating and by the time I received them, I was busy travelling for work and filed the email away until this week. It provides very good insight, but without a practical way to apply this new found knowledge, you feel helpless again. So, I began to search for probiotics that contain the good bacteria the test show that I am low on. There has got to be a better way for these testing labs to provide a complete service with post-testing recommendations on what to do next with this new information. I hope this helps and I honestly don’t remember how much I paid, maybe $99-$149 USD. You can get your microbiome tested in the UK via The British Gut Project, which is run by Tim Spector at King’s College. Basically, you give a donation (what you pay to have your gut microbiome sequenced) and the project receives the money towards their academic research and you receive your “perk”. I have my testing tubes waiting for me to complete! The massive problem with microbiome sequencing is that we don’t fully understand what each species does and the interactions between species, for instance, some microbiota produce certain metabolites, whilst others are consumers of said metabolites. There is some systems biology (computer modelling) research that I’m aware of, but that is in its infancy. Hi Fiona, many thanks for this. It appeals to me to contribute to research whilst benefiting myself. The thing is though, I am not scientific so I need to have data and simple interpretation and action points ideally, like eat more broccoli! Would I get this from The British Gut Project? Someone else in another thread here mentioned Map my Gut which is available in the U.K. via Manor Pharmacy Group, just wondered if you had heard of them? I really want to get my 17 yr old daughter tested who although slim and healthy now, eats a lot of sugar (was caesarean) and who I suspect is heading for trouble in the longer term but we need plain English interpretations or else we will be wasting our money. What do you think? Hi Erick thank you for this. Yes the book got my hopes up that I could get tested, get data and an action list. Seems it is not quite so easy…..
To be honest, if you can’t interpret and action the results, then no… I don’t think it’s worth it. Food58: the most valuable guides you have at this stage are your detailed food and symptom diaries. For accuracy log weighed and measured quantities as you eat and drink, not later in the day. Your diaries will clearly reveal the amount of refined/ processed/ sugary stuff in your diet, the balance of the different food groups, the variety within each group/ type. The average westerner doesn’t need to tweak their diet to rebalance their gut flora and maintain health, we need a MAJOR overhaul. We have a fairly simple ‘action list’ in officially recommended serving sizes, food types to increase (oily fish, bright coloured veg, lower sugar fruits) and reduce (added sugar, refined grains, added fats) whivh we largely ignore! Food58: analysing the microbiome would only really make sense alongside a general medical ‘work-up’.So also consider lists of symptoms (even mild), signs (other health tests), risk factors for or diagnoses of medical conditions. The average young person is more interested in how they feel now and look now than in twenty or forty years time. Heck many of us supposedly ‘mature’ adults are just the same! Skin conditions (and hair/ nails), menstrual cycle/ fertility/ sexual activity, body fat and muscle distribution (ie. body shape), mental wellbeing (depression/ anxiety/ social), energy, asthma, sports performance …. Link these sort of issues to diet and lifestyle and they often want to make healthier choices. That is based on working in healthcare not parenting teenagers BTW! In doing a little digging, I came across this helpful report that contains a chart on page 5, that seems to give you an idea of how each of the various bacteria relate to specific ailments or symptoms. Obviously, this approach is by no means scientific, in any way, but just sharing how I am trying to analyze the results of my gut bacteria test and ways to identify those probiotics to help me populate the good bacteria that my gut is low on. I’ve been looking into this myself and it appears there’s a company in the UK called Atlas Biome who will do an analysis of your microbiome. Might be worth having a look, although like most of you said im not sure if its worth £150 if you can’t interpret it. I also messaged DayTwo who i believe are the company mentioned in Clever Guts. They create a personalised diet for you based on how your blood sugar levels react to certain foods. Apparently they are only available to people in the U.S. and Israel atm. However they did say they’re looking to branch out into other countries this year and the U.K. was a strong candidate. Hope that helps! Any testing available in Australia? I tried to email them and got no answer. Hi aralerm: its not that simple. DayTwo are in Israel and recently in the US. But the computer algorithm is country specific , for which reason they are NOT keen to test people outside the geography of Israel and America. A further complication is that your microbiome changes quite rapidly and possibly radically when you travel – so the results won’t be 100%. Finally the app is not really optimised for the UK diet. No they don’t receive “walk ins” and their offices are in a small enclave outside Rehovot. All of that said they might be willing to let you have a go if you are persistent! I’m convinced this is the way forward .. but your’re probably a year too soon. Has anyone had success with this since the last post? I’m looking at Atlas Biomed but can’t figure out if they’ll tell me which probiotics will be the best for my gut. Hi! Posted another message in welcome, but no reply yet. Since part of it concerns biome testing, thought I’d pose my question here- which is, do the two main UK options, British Gut, and Atlas DNA sequence candida yeast strains as well as bacterial strains in the gut? British Gut? No they don’t as for the other providers I’d suggest email them direct and asK !